The family and associates of the former Minister of State for Defence, Senator Musiliu Obanikoro, are intensifying efforts to raise N100m to release him from the detention of the Economic and Financial Crimes Commission (EFCC). A source said the family had taken a decision that the former minister would not spend another week in the detention facility of the commission. 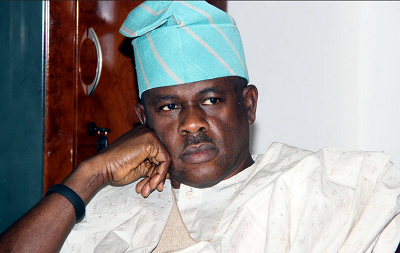 Obanikoro flew into the country on Monday last week and has since been held by the EFCC, whose operatives have been interrogating him in connection with N4.7bn traced to Silva Mcnanamara, a company in which, the commission says he has interests. Babajide and Gbolahan, two of Obanikoro’s sons, were said to be directors of the company when N4.7bn was allegedly paid into the company’s accounts from the office of the National Security Adviser in 2014. The money was said to be part of the amount earmarked to finance the June 21, 2014 Ekiti State governorship election, which Governor Ayodele Fayose won, and the November 2014 governorship poll in Osun State, which Chief Iyiola Omisore of the Peoples Democratic Party contested and lost. Fayose, also of the PDP, defeated the then incumbent, Dr. Kayode Fayemi, of the All Progressives Congress, while Omisore lost to Governor Rauf Aregbesola, of the APC. A family source on Sunday said members of the family were worried about the continuing detention of the minister because of his health and were moving to ensure that he did not spend beyond Tuesday (tomorrow) in detention. “We are concerned about his health and we are not ready to see him still in detention beyond Tuesday this week. The man’s life is more important than the money they are asking him questions about,” the source stated. The family source confirmed that the commission had given a condition to the former minister to raise N100m to get an administrative bail. “If that is the only condition to see him out of detention for now, we are making efforts to raise that. You know the situation of the country now, but no sacrifice is too much to make him a free man again,” the source told a Punch correspondent.